MB-L 140 crushing reinforced & non-reinforced concrete - MB S.p.A. The MB-L140 crusher bucket is attached on a Bobcat T770. 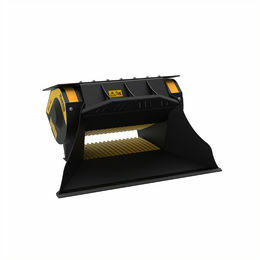 It is crushing reinforced and non-reinforced concrete into usable fill. The fill is created at the customer’s job site.